Wikipedia is a classic example of a wiki that has reached international acclaim, and is one of the most frequently cited sources in recent years. While wikis may look like regular Web sites to uninitiated readers, they typically follow an editorial process that is different to traditional Web sites. In principle, users can edit any wiki page, start new pages, and comment and expand on the collectively assembled material. Technically speaking, a wiki is a 'thin-client' application, intuitive in its use with minimal requirements for training, software and hardware. Wikis scale well and benefit from participation of many users. In Wikipedia for example, large user participation was crucial in identifying controversial entries. As with open-source software, wikis allow all interested parties to raise a flag when content is out of line, and corrective actions can be taken promptly. Wikis are part of the so-called 'Web 2.0', yet Cormode and Krishnamurthy (First Monday, July 2008) point out that popular Web 2.0 sites such as YouTube, Flickr, Facebook and MySpace steer clear of incorporating (and promoting) the ability to collaboratively produce and edit content. On the other hand, features such as tagging (see Figure 1), the listing of friends, connections and followers, and the ability to rate content are far more common. 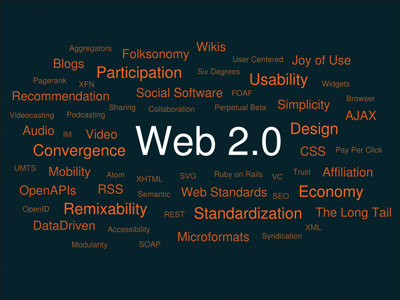 In effect, such Web 2.0 applications emphasize individuality. Moreover, the most successful content providers tend to focus on very specialized topics, often the dominion of a few. Unlike other Web 2.0 applications, wikis put the focus on teamwork, emphasizing the importance of the collective end result. At the same time, wikis allow the primary and secondary contributors to be identified and rewarded accordingly, without losing track of teamwork achievements. Currently, the biggest challenge in CALL is to find ways to interconnect second-language acquisition theories with those of computer-mediated collaborative learning. Advances in this area are fundamental for developing effective interfaces for learning foreign languages. As language learning can only occur through socializing, the effective use of computers for didactical purposes requires a clear understanding of human interactions online. The Vygotskian sociocultural theories of learning provide a solid interpretation framework for the acquisition of foreign language competence in online environments like wikis. In Vygotsky's view, new knowledge is produced though the social interaction of participants and mediated by cultural artifacts that influence the development of the mind. Learning is mainly understood as a social action, mediated by instruments whose nature depends on the pursued goals. Moreover, sociocultural theories present learning as a process that goes from interpersonal to intrapersonal, first at the social level and then at the individual level. Given this theoretical background, wikis can be considered as cultural instruments suitable for mediating knowledge. The structure and functional characteristics of a wiki call for language production that is open, dynamic and expansive in nature. In fact, the possibility of linking to new empty pages stands as an explicit open invitation to language and knowledge production for the learner. Language acquisition occurs in a polycontextual manner that compels group members to apply different skills, depending on the phase of development. Overall, wikis are a polycontextual tool that enables the integration of multiple contexts and voices in the common task of language building. We completed a set of studies using wikis for mediated collaborative learning of Spanish as a second language (Spanish L2) at the Oulu University of Applied Sciences in Oulu, Finland. After a pilot study with a group of nine students in the spring of 2007, we repeated the study with another group of eighteen students in the fall. In the spring of 2008 we expanded the wiki use to a group of more than sixty students. Our first results of the didactical use of the wiki indicate that it is effective in supporting the shift from individual to collaborative writing. We observed three key changes towards collective responsibility, broad and collective knowledge of the topics, and the emergence of polycontextuality. The wiki as a cultural artifact mediated the collaborative process of language production and enabled the creation of a shared common final product, 'owned' by all the contributors. This is an essential characteristic of collective language production in wikis, and it is fundamentally different from that observed in other synchronous and asynchronous interfaces. Of course, further work is necessary to establish quantitatively the benefits of adopting wikis for CALL. In the future, we would like to look at the use of wikis in other contexts. This includes both the use of wikis in standard curriculum courses in subjects not related with learning foreign languages and in extracurricular activities. We are also actively looking for partners to expand our current work towards multidisciplinary projects and establish new collaborations.